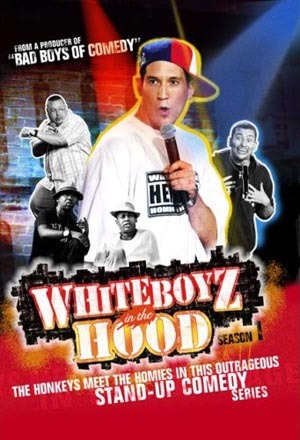 Now on DVD, the outrageous stand-up comedy series WHITE BOYZ IN THE HOOD proves that funny is funny, no matter what your race or skin color. From Richard Pryor to Chris Rock, many black comics developed brilliant material from the dynamic relationship between the black and white cultures in America. WHITE BOYZ IN THE HOOD turns that concept on its head and features white comedians who have honed their craft at urban clubs across the country. This ground-breaking DVD features 30 top comics whose hysterics will have you seeing colors!